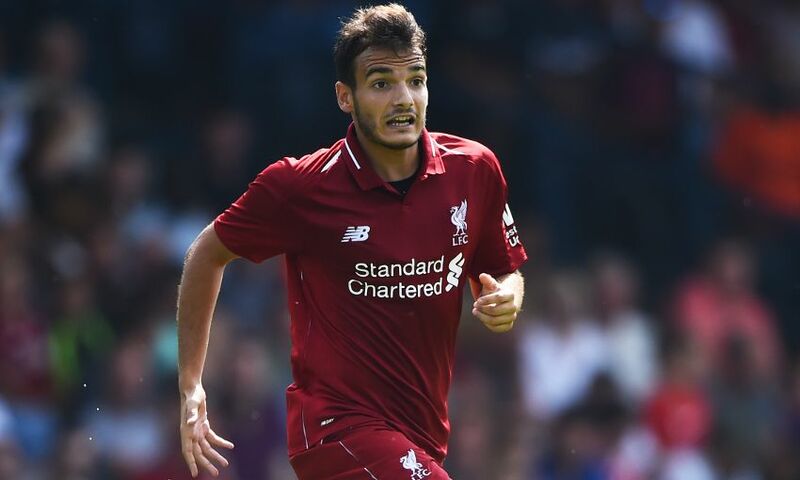 Liverpool U23s kicked off their Premier League 2 campaign with a goalless draw at Brighton and Hove Albion on Friday night. The game had been in doubt in the hour before the originally scheduled kick-off time due to heavy rainfall but after two pitch inspections, and some diligent draining, the referee gave the go-ahead. Neither side quite found their full flow when the action did start, though Kamil Grabara made four excellent saves for Neil Critchley’s Reds, and a point apiece was a just outcome on balance. It was the hosts who started the brighter when the match got under way – by now under clear skies – and Aaron Connolly should have done better than flick the ball over the bar from yards out after a delivery into the Liverpool box fell kindly. Grabara had to stretch moments later as Mathias Normann opened up space with a neat touch and threaded a low shot from the edge of the box towards the bottom right corner. The young Reds soon settled but chances were at a premium until, on 25 minutes, Bobby Adekanye dribbled in off the right flank and prodded an effort just wide of the near post. But the best opportunity came for Brighton with 36 on the clock. Viktor Gyokeres collected a pass and snaked around Corey Whelan into space with just Grabara between him and goal – but the Liverpool stopper rushed out to sprawl the No.11 and block away the danger. Critchley’s team lifted the tempo from the outset of the second half and slowly started to find gaps in the opposition set-up as they sought a breakthrough. One almost came from a more rudimentary approach on the hour. A corner in from the left hand side found Whelan inside the area and the Reds captain showed awareness to spin and shoot in the same motion, only to clip his strike off target. Liverpool were indebted to Grabara again midway through the period as he reacted quickly with his legs to thwart a goal-bound Max Sanders shot from close range. By way of a response, Sheyi Ojo worked Brighton goalkeeper Hugo Keto with a bobbler from the right corner of the box and Matty Virtue nodded over from Adekanye’s inviting centre. Of all the signs that the goal was not going to come, the most obvious unfolded in the 81st minute. Substitute Liam Millar made the most of room in the right channel to square for Virtue but first the midfielder’s side-footer was stopped and then, when he teed up Isaac Christie-Davies, the second effort was blocked by a recovering defender. There was still time for an action-packed finale; Grabara produced another outstanding block to deny Anders Dreyer in the closing moments, and Normann was sent off after a second yellow card. But there was no mark on the scoresheet, meaning both sides start their Premier League 2 journey with a single point. Liverpool U23s: Grabara, N. Williams, Lewis, Whelan, Johnston, Chirivella, Adekanye, Christie-Davies, McAuley (Millar, 72), Virtue, Ojo. Unused substitutes: Masterson, Atherton, Juanma, Coyle.